I find creative and unique applications and solutions to functional needs. My designs bring out the deepest beauty of the wood and at times combine other objects to further enhance the beauty or to increase the functionality of the piece. My goal is to create unique, beautiful pieces of art that friends would cherish and welcome into their homes or offices or to offer as gifts to loved ones. 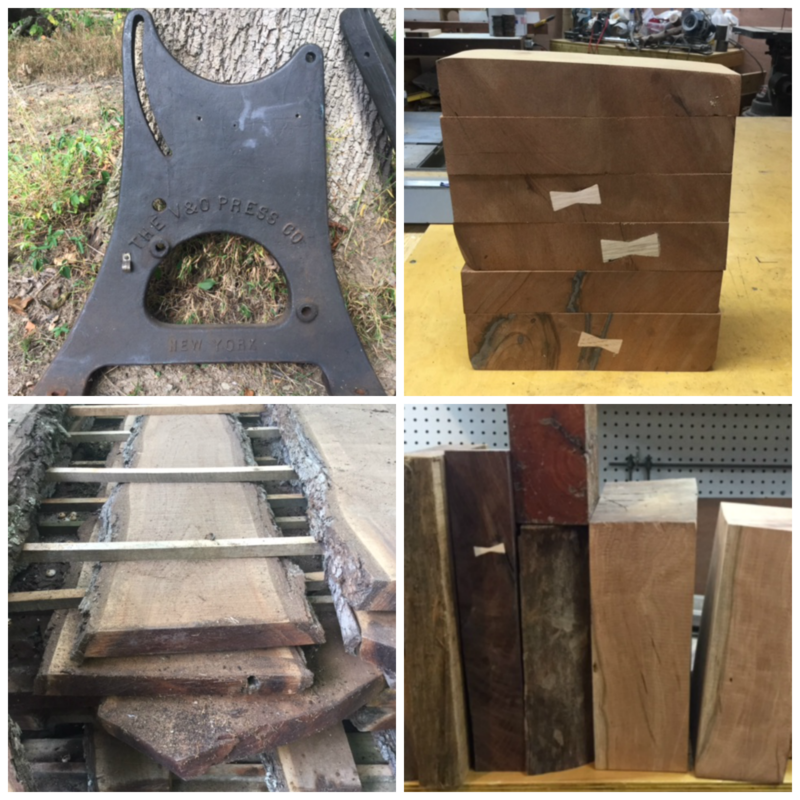 I work mostly with local hardwoods (walnut, maple, cherry, oak…) with occasional specialty woods as accents. Collecting the right stock is a real part of the puzzle solving process. I’ll incorporate vintage industrial finds or old farm / barn pieces when I think the combination enhances the piece. I keep all work as organic as possible. Designing a piece is sometimes difficult to explain. It works best for me when the wood takes the lead and helps to determine the build process. When this takes place, the natural beauty of the wood can be realized in full potential and the piece results as a unique entity. I never keep track of my hours working on a piece. I don’t want a time clock factoring into the process. I truly enjoy what I do. Watching the work evolve is extremely satisfying.